With the right mindset, beliefs and attitude you can really add more value to your work, come up with better ideas, work out how to better approach challenges, inject creativity to achieve better results and even understand what makes you unique and how to flaunt it. Uncover your creative dreams, desires and doubts. Realise how and why you think and act in certain situations. Learn what you can do to step outside your own thinking traps. Gain new insight about yourself and how you can improve in the areas you wish. Expect lots of questions to explore your creative mindset and inspiring tasks and assignments to get you really thinking and discover what makes you unique. You will be working with Simon Jack, the Creatures of Habit handler. 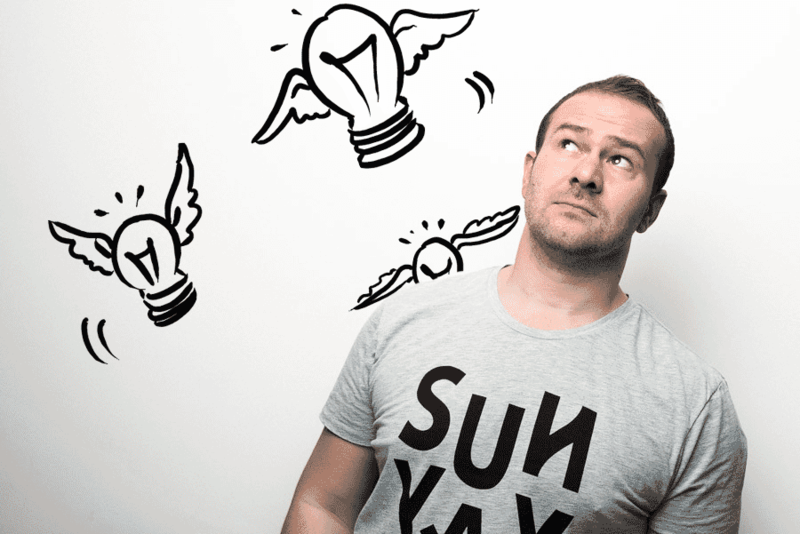 Originally a scientist, Simon now turns his mind to design and creative communications… as well as helping others find their creative spark. Simon invented the Creatures of Habit to help others understand what makes our minds different and ultimately what controls our creativity. The Creatures embody a whole range of scientific principles and observations. The key is self-realisation – once you know what holds you back, you can take firm aim at improvements in all areas of life. Get in touch to learn how it can work for you. And relax, we can have a 15 minute intro call before any decisions are made. Fill in the form and hit the button and we’ll get right back to you.